Pink leader has been popular for some time, given that it is seen as less visible in certain water conditions. 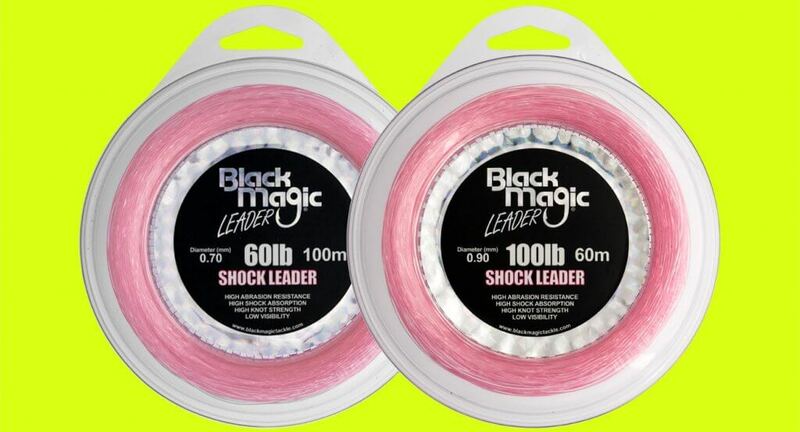 Although fluorocarbon options are common, Black Magic’s Pink Shock Leader is produced as a copolymer trace. This provides great value for money but still gives robust performance under stress. Features include: retains the high performance in abrasion resistance and knot strength seen in Black Magic tough and supple trace; coloured pink to provide less visibility, particularly when water conditions are a little murkier; and provides a more affordable option to anglers than fluorocarbon. Current breaking strains are 20lb, 40lb, 60lb, 80lb and 100lb.